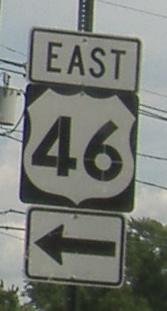 Unique embossed signs at Michigan Ave., Union CR 617, on CR 509 NB and SB (Boulevard EB and WB). 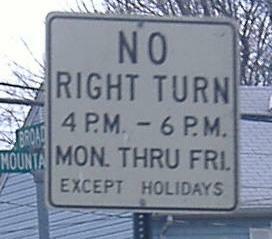 The sideways sign, facing CR 617 NB, is seen on that page, linked at bottom. Heading SB (west) from the Garden State Parkway at Exit 138. 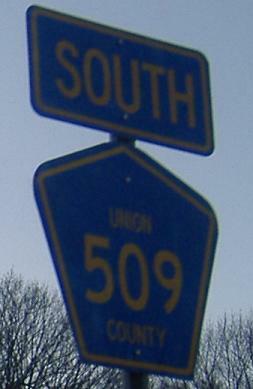 CR 509 follows the Parkway, switching sides again in Bloomfield, all the way north to Paterson. Union County sure gets creatively ugly with its shields (both southbound). At that size, the little LGS shield is pointless - it's supposed to span the height of the sign. Yet another Union County monstrosity, as CR 509 turns from Hillside Ave.
Much better now that I made it to Essex County (Grove St.). 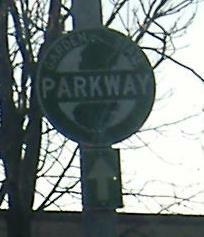 An old street sign of the type that's dying in Irvington and an old Parkway shield SB. Perhaps the best shield left standing on the route; these are both NB at that freeway, since the rail line is just off the WB frontage road. Pay no attention to the missing "Spur." 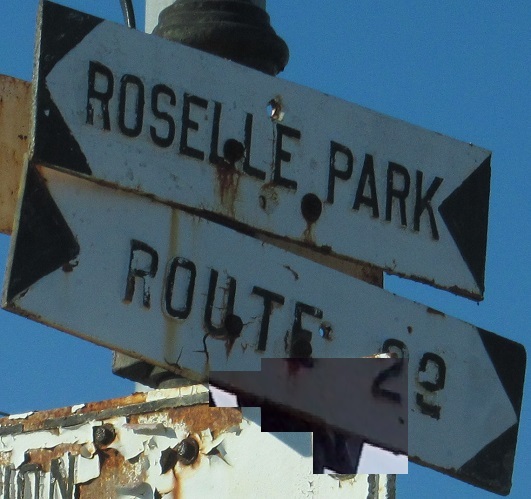 More signs than not accidentally omit it, such that you might think you've found the Belleville Turnpike with a straight shot to New York, only to end up in downtown Newark. Franklin St. SB. in Bloomfield. 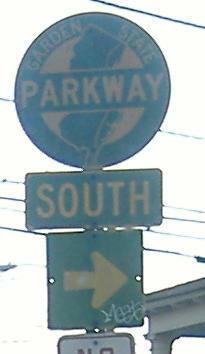 The route to the Parkway NB is via Montgomery St., cutting the corner of a triangle. 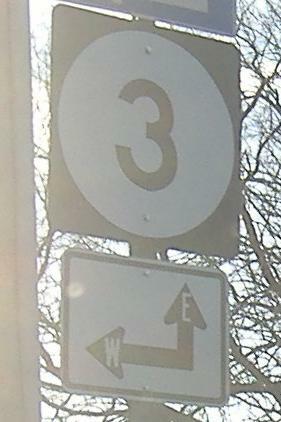 A new SB sign in this area. CR 509 is very strongly north-south aligned through Essex County and doesn't turn west until Union. The entire route is signed consistently, so, in short, this is wrong. 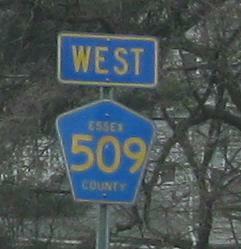 The WEST could have been meant for nearby CR 506. I'll just throw the penultimate survivor of an Essex County Highway System shield in the middle of this page. 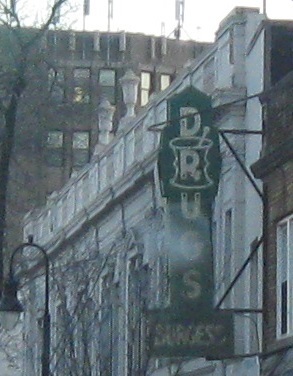 This was on Washington St. EB at Franklin St., just east of Bloomfield Ave., until maybe 2010; click for closeup. 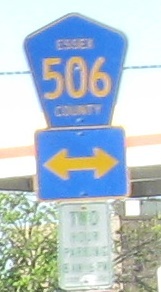 The stamp on the back of that 509 sign, which Lou Corsaro pointed out to me: L.B. Seely Co., Eatontown NJ, Distributors for Ferro Enameling Co., Oakland, California. Yep, that's enamel from California here. There is still ONE original embossed shield left, and I want it badly. 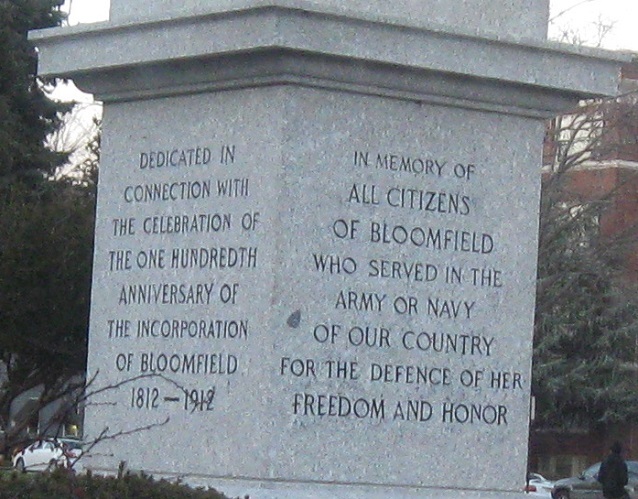 The old Essex County (or just Bloomfield?) 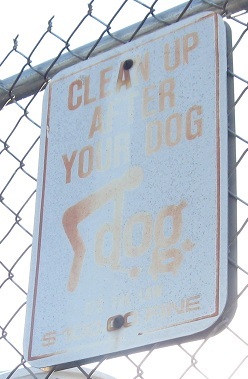 dog sign still hangs on near the end of the Newark City Subway. 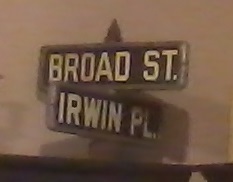 Broad St. SB where CR 509 bears left onto Franklin St. CR 663 continues straight on Broad to the drugs. There's a store in the Brookdale section of Bloomfield that has this sign inside. You should visit and maybe buy things there. This sign, even. SB signs at Mountain Ave. and Overlook Terr. 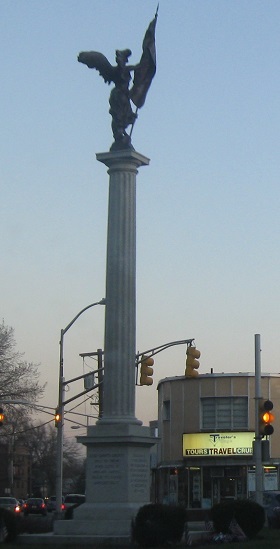 in the Brookdale section of Bloomfield, approaching West Passaic Ave. 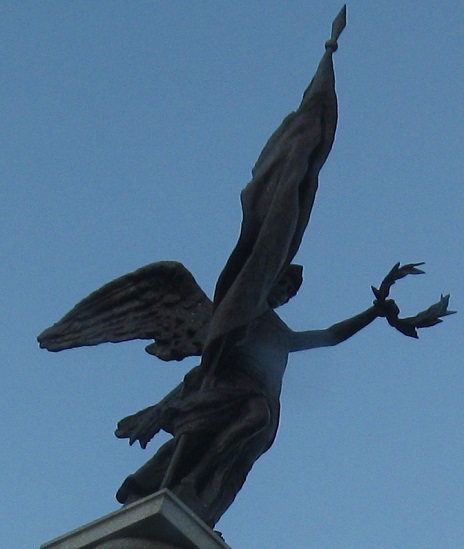 The traffic signal at that intersection isn't terribly odious, but I guess some people can't wait the 30 seconds. Speaking of West Passaic, here I am NB at that intersection (it's CR 622), where CR 509 turns left to avoid crossing the Garden State Pkwy. The white parts of the sign are cracked, and the numerals are cut out of the shields (instead of being black digits like they should be). 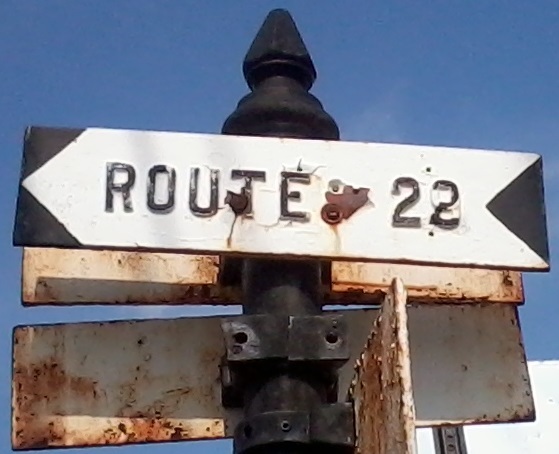 This is a more modern version of standard Essex County signage. 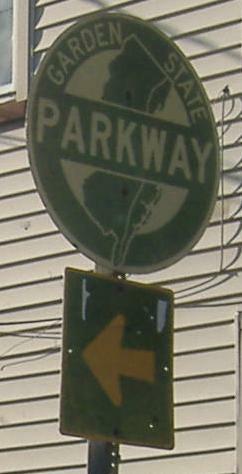 The northernmost example yet of directions within arrows, Broad St. SB at Allwood Road (the original NJSHR S-3, back when 3 followed what is now NJ 120 toward Paterson). As the US 46 EB Grove St. ramps were being rebuilt, this sign pointed detour traffic from Van Houten Ave. (CR 614) EB onto Broad St. NB. 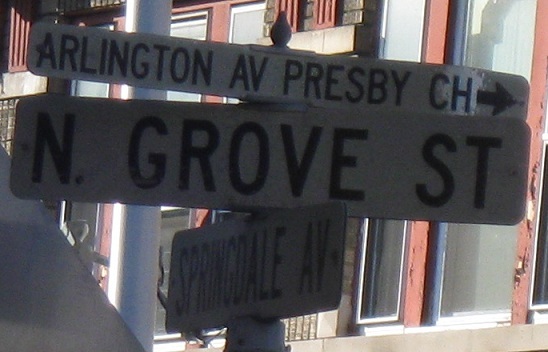 Skipping over the short NJ 19 duplex (19 begins while part of 509, then branches off as a freeway), this is where Broad St. turns into Grove St. in Clifton. CR 509 SB simply follows the "divided highway" (really a small concrete island) and then turns left onto NJ 19 SB, whereas 509 NB has to use a left ramp a little further north. The straight arrow is telling traffic to follow Grove St. to the US 46 EB onramp, although that onramp has unfortunately been closed for repairs for many months. The beginning of Valley Rd. SB from Marshall St., which is what Broad becomes in Paterson. 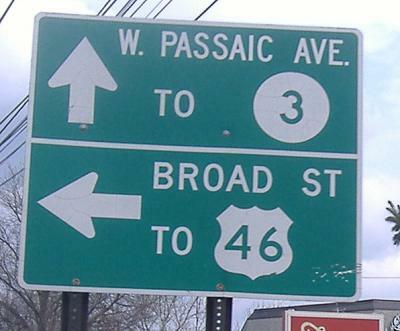 Starting in Kenilworth (Parkway Exit 138), CR 509 never strays far from the original intent of the Parkway, following the GSP faithfully to Exit 155P and then the intended Paterson spur (but NJ 19 was built as a free highway) right on up. When NJ 19 dies and CR 509 is left alone, it quickly and quietly ends as well. 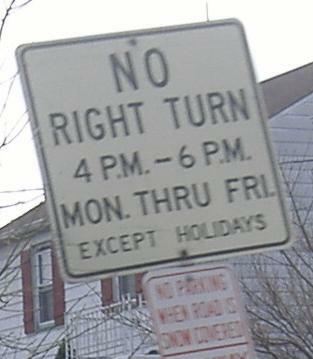 Until we get to that point, though, NJ 19 and I-80 signs (the latter being reached via the former) will be omnipresent. Look! Behind you! Another one! Oh, and of course, there will be Parkway shields as well, this older one on Slater St. at Marshall St., which is what CR 509 SB uses to jog over from Main St. The Main St. bridge across the Passaic River, under construction but still CR 509.